From white boards to free digital applications that encourage collaboration and organization of work, companies are researching and enacting as many policies and practices as possible so they can to foster inventiveness and ingenuity throughout their employee population. This article from Behind the Counter explores four key strategies that companies are implementing to facilitate creative collaboration among their employees. They are simple tactics that any company can start using to encourage and support their employees to think differently. A company doesn’t have to be a heavy hitter like Google, Groupon, Living Social or Facebook to take advantage of these creative courses of action. PMI Properties is proud to see most of their tenants already putting into practice at least one of these strategies with outstanding, innovative results. From collaborative areas to exploring new environments. We are happy that our tenants are embracing these innovative trends. 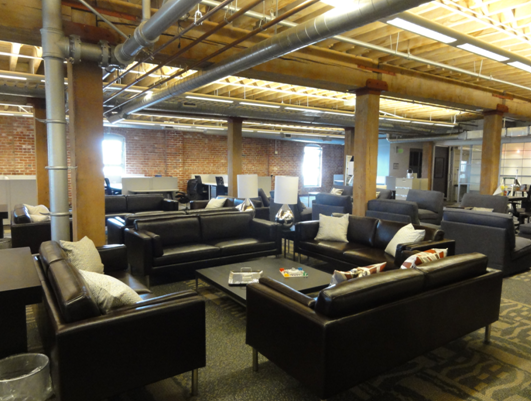 We rent office space on the Westside of Los Angeles and in San Francisco to digital technology companies. Our tenants include or have included Twitter, Google, DoubleClick, Yammer, Scribd, Applied Semantics, Microsoft, and Eventbrite. Much has changed from the dot-com days. Today, the three factors that are important for the design of these spaces are creative environments, densification, and collaboration. 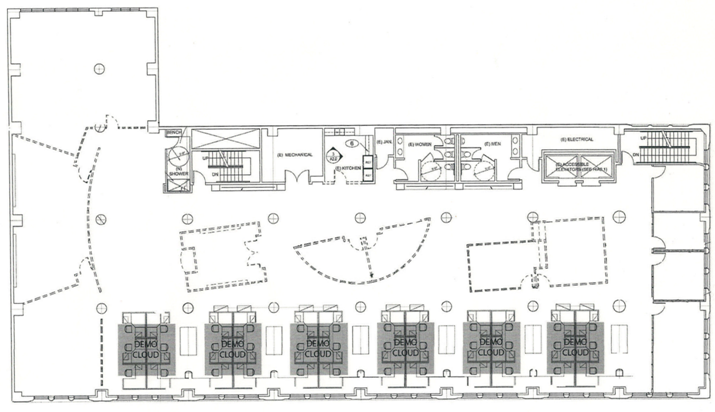 Spaces are open to allow for the ability to scale to densities of up to 10 people per 1000 square feet. Although the company may start out at 4 people per 1000 square feet, the ability to scale within the space will enable to firm to expand without taking on additional space and without moving. To allow this densification, the space should have good light, open areas, and a lot of power and outlets. Higher ceiling volumes with open structural elements help reduce the feeling of being cramped into a tight area. Although liner table arrangements are the most efficient, undulating plans have also worked and reduce monotony. Diagram from the dot-com days. In the dot-com days, designers used circular and angle offices to create visual interest. Today, these designs reduce the efficiency of the floor plan. Designers now use the natural beauty of the physical structure, colors, textures, and lighting to create visual interest. Large, high partition work stations have given way to interconnected non-partitioned tables where groups of designers sit together in close proximity. Email, texts, and social networking have replaced audio phone use and hence eliminated the need for partitions. 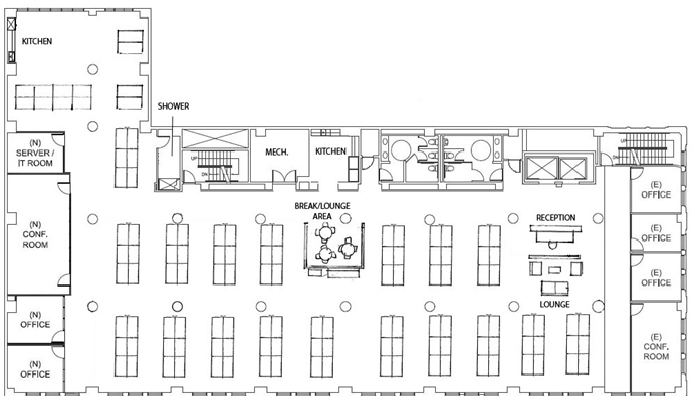 Enclosed spaces are used primarily for conferences, group meetings, and other collaborations. These enclosed meeting spaces average about 1 per 1000 square feet. Yammer Collarboration Area at PMI's 410 Townsend in San Francisco. Collaboration spaces have become more important in offices today. People are used to collaborating in cafés; now designers are incorporating the “café look” into the office design. Today workers come from the Starbucks generation where coffee houses are iconic symbols of collaborative settings. Kitchens have expanded into highly designed café settings in very visible locations. Kitchen at PMI's 3525 Eastham in Culver City. Kitchen at TechCrunch at PMI's 410 Townsend in San Francisco. This is a refreshing contrast to the kitchens of the past, relegated to a hidden enclosed corner with vinyl floors and fluorescent lights. Several companies, some as small as 40 people, have dining areas that can fit much of the company’s employees. They also require company lunches several times a month or even a couple times a week. 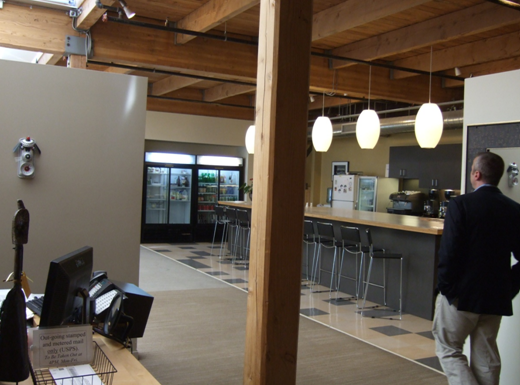 Other examples of collaborative settings could involve a game room or juice lounge. Instead of just one kitchen, there may even be multiple areas with sinks, refrigerators, and snacks. This gives a modern spin to the popular water cooler meeting spot that all offices seem to share. All in all, there are many designs and combinations that can be created for all the different types of tenants we house. For PMI, we strive to meet all of our tenant’s requests and see to it that creativity continues to flourish among our properties and tenants. Scroll down to see more examples of the creative space we have produced for our outstanding tenants! 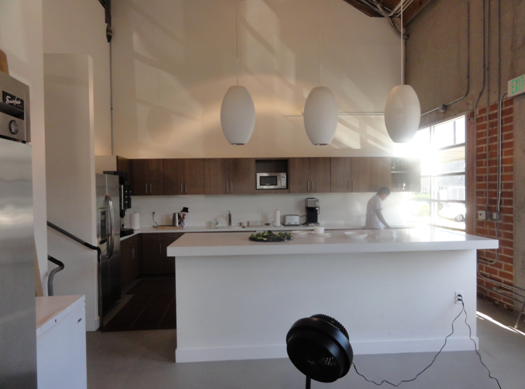 Kitchen at Mitch Kapor's offices at 543 Howard in San Francisco. Mahalo's Kitchen at PMI's 3523 Eastham in Culver City. 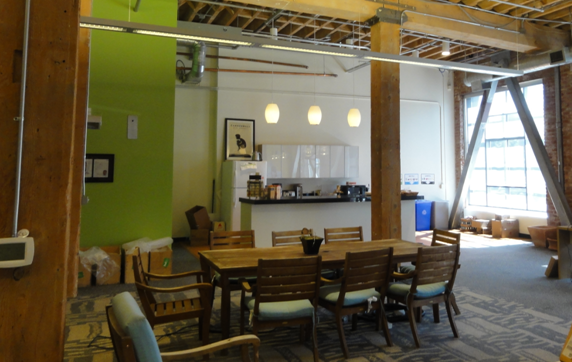 Eventbrite's former space at PMI's 410 Townsend in San Francisco. Afar Media at PMI's 394 Pacific in San Francisco. Some start-ups are also searching for suites in Los Angeles that are flexible and easy to remodel to fit their needs as a company. One major tenant broker reported a flurry of requirements for companies that produce video content for the web. PMI has received interest from a few companies that require building several of these web video studios. PMI is trying to figure out how to best accommodate these needs by making the restoration of the space less expensive. The companies who are requesting restoration believe that the renovated studio will have additional value for the next company who will occupy it. However, in the event that the next company does not prefer the modifications previously made– maybe they are involved with a different type of business– the company will want the web video studio layout removed. Adding to the complexity of the situation, these companies also have different studio requirements; there isn’t an adequate generic standard these studios can be crafted by. PMI is working to accomdate all of their tenant’s requests, and are happy to welcome new and creative companies at their properties. With the creation of Silicon Beach, we expect the creative office space demand to rise even further. When PMI Properties helped invent the Los Angeles creative office business back in the mid-1990s, there was no institutional investment in creative office. The institutions thought creative office was a fad and didn’t really understand the business. 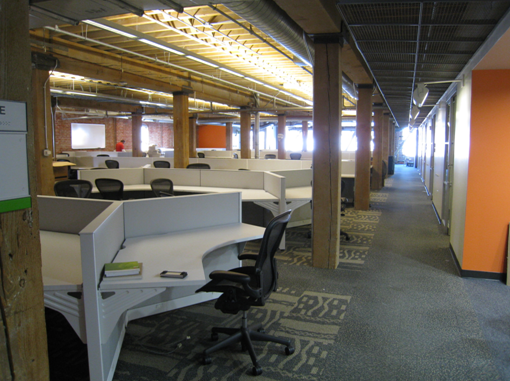 Now Lionstone Group owns more than a million square feet of creative office space. Hudson, Kilroy, Alcion, Divco, and many others are now buyers and developers of creative office spaces. PMI has it’s share of tech, new media and production companies residing at our creative offices and we are rapidly expanding and accepting more tenants month by month. To see the variety and scope of our tenants, click here. The LA Times article here expands more on the creative office space boom. PMI recently started a program in San Francisco where we arranged bike parking for our tenant’s employees near the BART and Caltrain. People can park their bikes overnight in participating garages and retrieve them in the morning after arriving in the city on their transit of choice. Then they can continue the rest of the distance to work on their bike. This eliminates the hassle of transporting a bicycle everyday. The trend seems to be continuing in Los Angeles with the creation of an over 5,000 square foot bicycle garage in Santa Monica. People that choose this alternative way to commute now have a state of the art facility that includes showers, lockers, restrooms, and an area to repair bicyles. 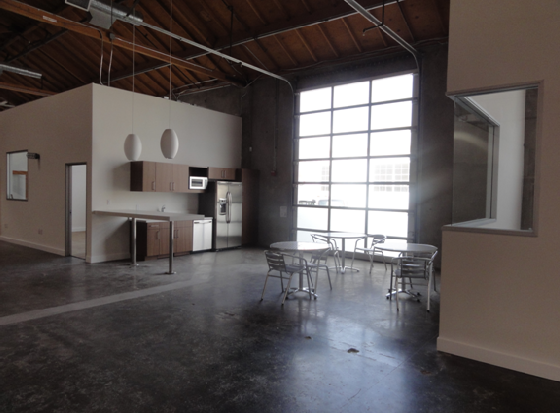 Our 1460 4th Street building in downtown Santa Monica is conveniently located right around the corner from the facility and we are excited to have this amazing addition close by for our tenants to utilize. Transportation Nation outlines all the details in their article here. Ever since it’s inception, PMI Properties has been home to many up and coming creative companies. From video games and film to advertising and software designers, we’ve had the pleasure of housing all types of creative companies. A social networking company exploded into society’s consciousness from our offices. They now have over 300 million users and changed the way we communicate in 140 characters or less online. They also reinvented the meaning to the word, “tweet.” That company is none other than Twitter. Applied Semantics, producer of software applications for the online advertising, domain name, and enterprise information management markets, invented AdSense in a PMI Property office space. AdSense has since been acquired by Google, and is now responsible for over 25% of their revenue. It’s been said that our Properties Motivate Innovation. A few more you may have heard of include Columbia Pictures, Matt Damon and Ben Affleck’s Project Greenlight, HBO Entertainment, Google, Wes Craven, Summit Entertainment, Sony Electronics and Ubisoft. To gain a larger sense of our scope and variety of amazing tenants, check out our complete list of past and present PMI tenants below. PMI recently applied for a variance which would reduce the parking requirements on two of its office buildings in the SoMa district of San Francisco. The City granted the variance on 625 Third Street and 539 Bryant citing that San Francisco has substantially improved its public transit in the area. The City also recently changed the parking zoning requirement from a minimum number of spaces required to a maximum number of spaces allowed. Both properties are of easy walking distance to the Caltrain and within a block of municipal transit which runs every four minutes for a ten minute ride to BART. Transit options will exponentially increase for the two properties. The City has commenced construction on the new fourth street subway which will connect Caltrain SoMa with Chinatown with a stop near BART. PMI has also contributed to the transit-friendly situation. 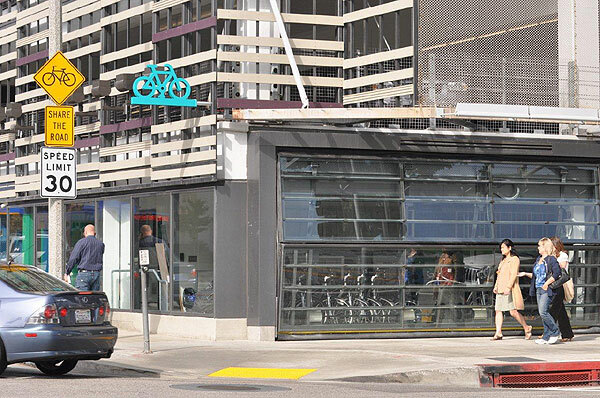 At PMI’s buildings, arrangements have been made with a garage near the Embarcadero BART Station for tenants to park their bikes at the garage overnight. Tenants can then take the BART into the city and ride their bikes the rest of the way to work. 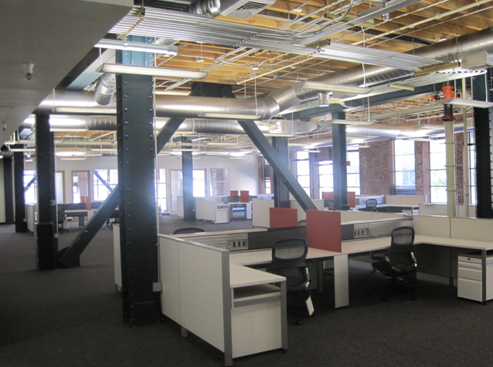 At 410 Townsend in SoMa, near Caltrain, PMI made arrangements for Zipcar, a car sharing company, to keep cars in its garage for the benefit of their tenants. PMI Properties is an owner and investor in creative office buildings on the Westside of Los Angeles and in San Francisco. Availabilities include 2,000 square feet in Santa Monica and Marina Del Ray and up to 18,000 square feet in Culver City. For more information, go to http://www.pmiproperty.com.